Brazilia: the Sound of Brazil is joining us this Wednesday for a live performance. 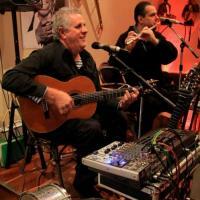 The Brazilian and Australian duo, Jaider de Oliveira and John Stefulj, will be playing everything from samba and Bossa Nova to contemporary Brazilian and African music blended with folk traditions. For more information on Brazilia and the show, check us out here.